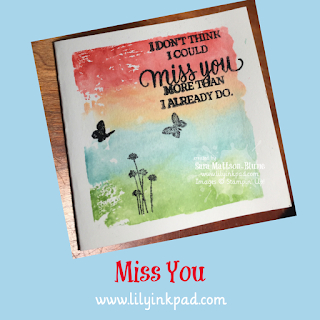 Welcome to the My Inky Friends "Fabulous at 30" Blog Hop featuring projects using new products from the 2018-2019 Annual Catalog released June 1. Each of the My Inky Friends Design Team members in this hop have selected a different stamp set to feature. You may have come from Tanya's Tropical Chic projects, or if hopping backwards, Cindy's Accented Blooms. 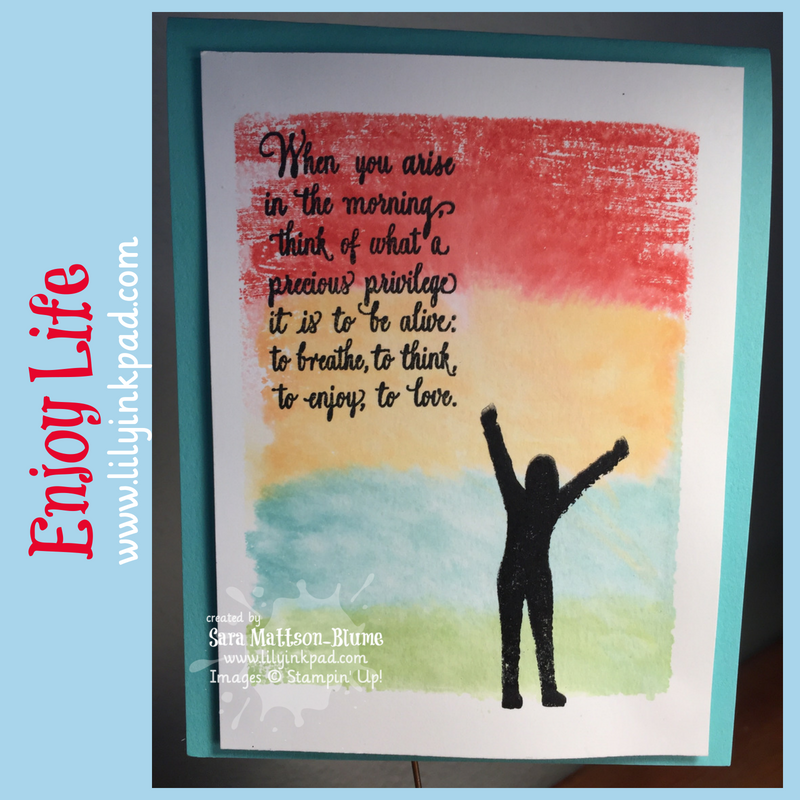 Either way, you've made it to my post featuring Enjoy Life. This stamp set was designed by my upline, Connie Fitzgerald as part of her earning $1,000,000 lifetime sales with Stampin' Up! She created this set based on her life philosophy and her children. How cool. Plus, the font looks like her handwriting! I used the same technique on all, because I just loved the color combination I used: Poppy Parade, Mango Melody, Costal Cabana, and Granny Apple Green. All new colors this year! The black ink is also in Stazon, our go to Black Ink. The saying says, "When you arise in the morning, think of what a precious privilege it is to be alive, to breathe, to think, to enjoy, to love." 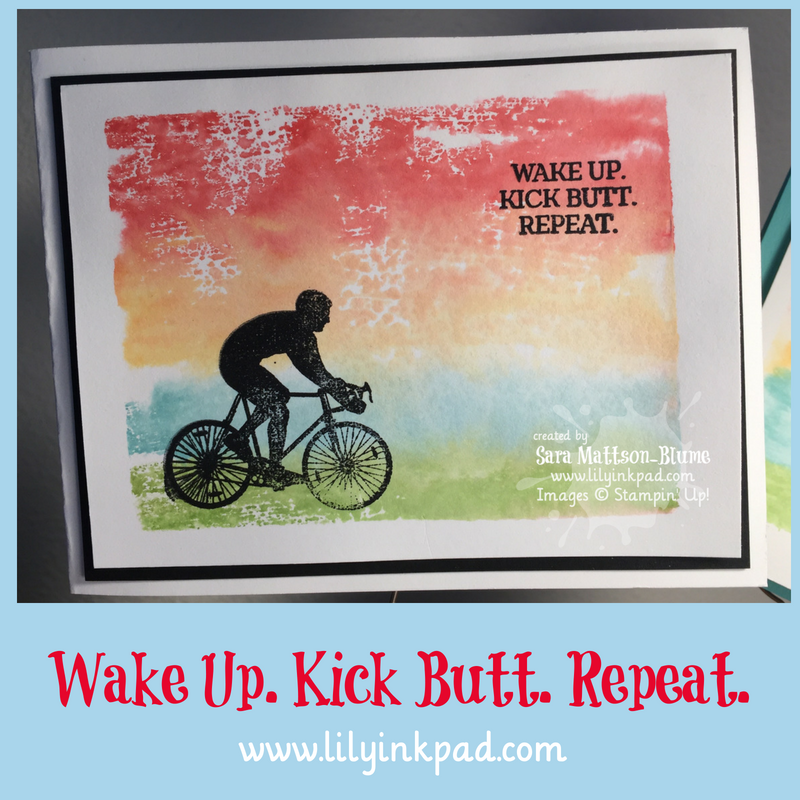 I love biking, so this card is close to my heart To do the background, I used markers to color on a clear block and then spritzed with water. I then just "stamped" that on my paper. I didn't use a lot of water and I like the rough look of it. That's all I have today! Click Next to go see Cindy's Accented Blooms projects or Previous to see Tanya's Tropical Chic projects. Happy Hopping! Your background is fabulous! I never remember to do this technique. Thanks for the reminder. 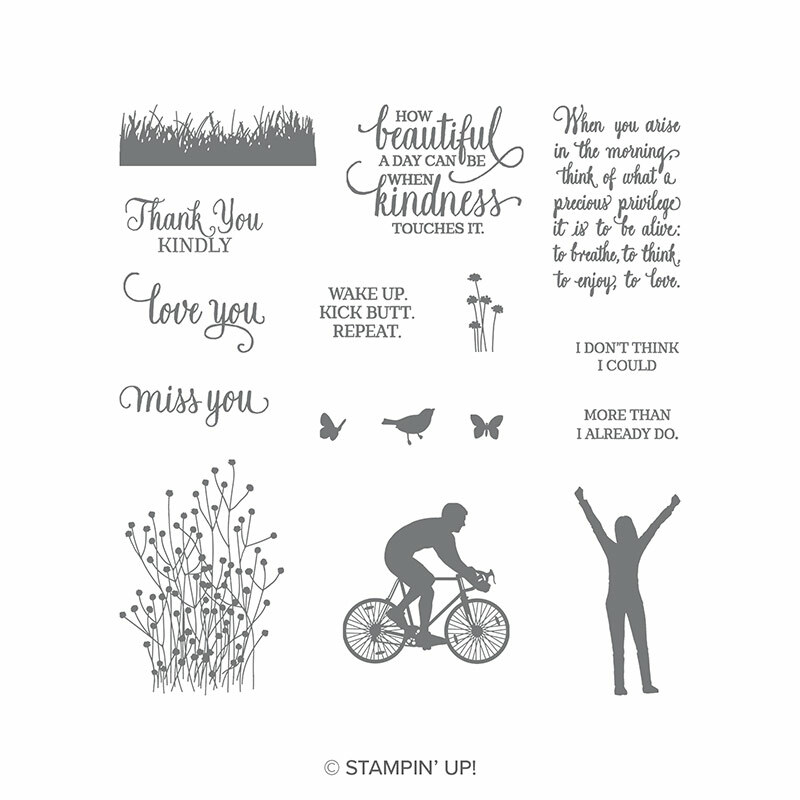 Your backgrounds are beautiful and go great with the silhouette look of the stamped image. That's so cool that your upline designed the stamp. What a special stamp for your collection. You should have her sign the stamp cover. Great cards, Sara! And I love the background you created. Fantastic colors! So colorful! I love the use of the new colors. I think you used almost every stamp in this set. Sara!! These were great ideas for how to use the sentiments with the images. Sometimes I struggle with that. Your cards are so great - would make a nice set to give as a gift. 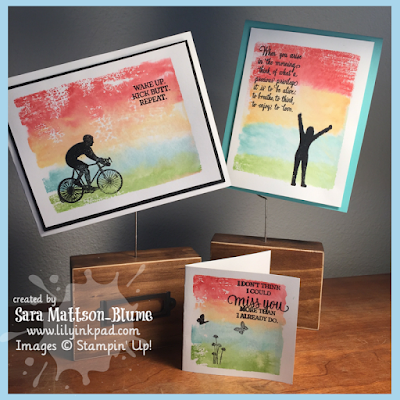 Sara, I love this technique, and it’s PERFECT for showing off the silhouette stamps! Beautifully done! I love your beautiful background technique! Such great work with this set. Your cards are amazingly lovely! !